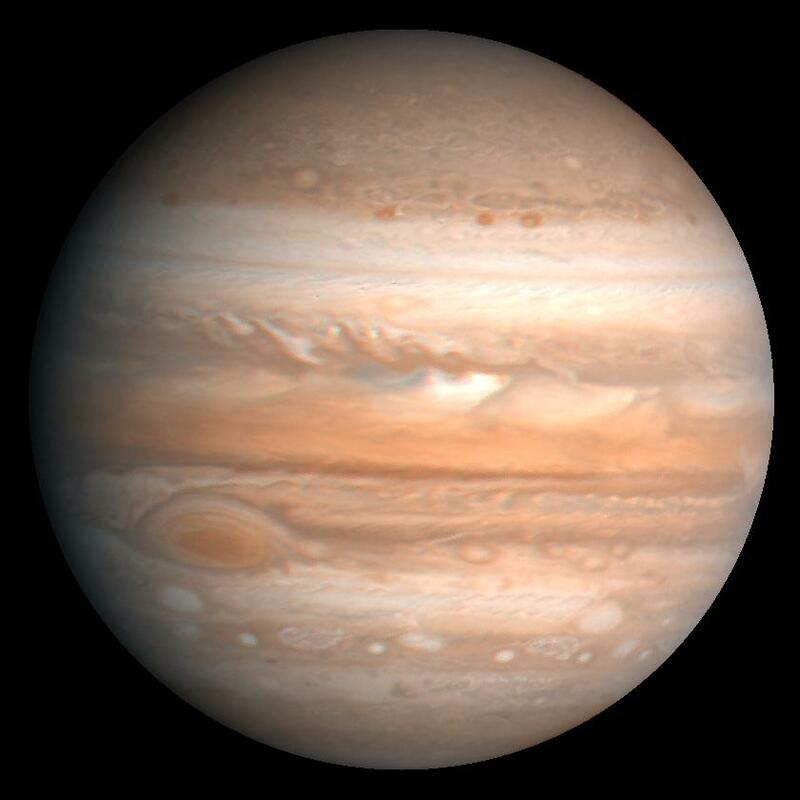 Jupiter is primarily composed of hydrogen with a quarter of its mass being helium, although helium only comprises about a tenth of the number of molecules. It may also have a rocky core of heavier elements, but like the other gas giants, Jupiter lacks a well-defined solid surface. Because of its rapid rotation, the planet’s shape is that of an oblate spheroid (it possesses a slight but noticeable bulge around the equator). The outer atmosphere is visibly segregated into several bands at different latitudes, resulting in turbulence and storms along their interacting boundaries. A prominent result is the Great Red Spot, a giant storm that is known to have existed since at least the 17th century when it was first seen by telescope. Surrounding Jupiter is a faint planetary ringsystem and a powerful magnetosphere. There are also at least 67 moons, including the four large moons called the Galilean moons that were first discovered by Galileo Galilei in 1610. Ganymede, the largest of these moons, has a diameter greater than that of the planet Mercury.